This listing is not public. To schedule a private showing before its market debut, please call 619.299.4272. CONDO WITH PANORAMIC BAY AND OCEAN VIEWS IN BANKERS HILL. SOLD in March 2019 for $1,160,000. RANCH-STYLE HOME IN LA MESA. SOLD in March 2019 for $599,000. Create your Coronado dream home two blocks from Sunset Park and North Beach on a quiet street in the coveted Country Club neighborhood. Existing top floor has views to San Diego skyline and Coronado bridge. Make your dream of island living a reality! MID-CENTURY MODERN DESIGNED BY JOHN LLOYD WRIGHT IN MISSION HILLS. 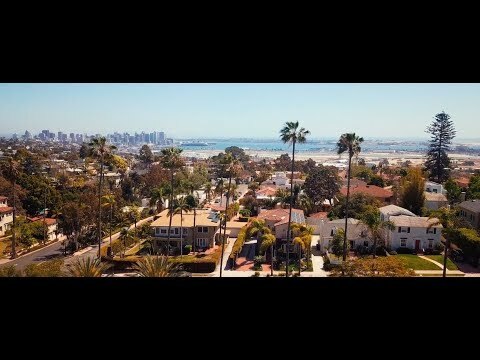 SOLD in November 2018 for $1,395,000. Newly constructed contemporary presents the ultimate in luxury with stellar finishes and modern floor plan, setting sophisticated stage for everyday living and entertaining. Picture-perfect kitchen with European cabinetry, quartz countertops and stainless steel appliances opens to dramatic living and dining areas complete with bamboo floors, Milgard windows and private patio access. Layout features one entry level en suite bedroom with three more upstairs including a spacious master with luxurious bath and adjacent laundry.